Resource Pins make it simple to find, share, and organize teaching resources that are aligned to standards. 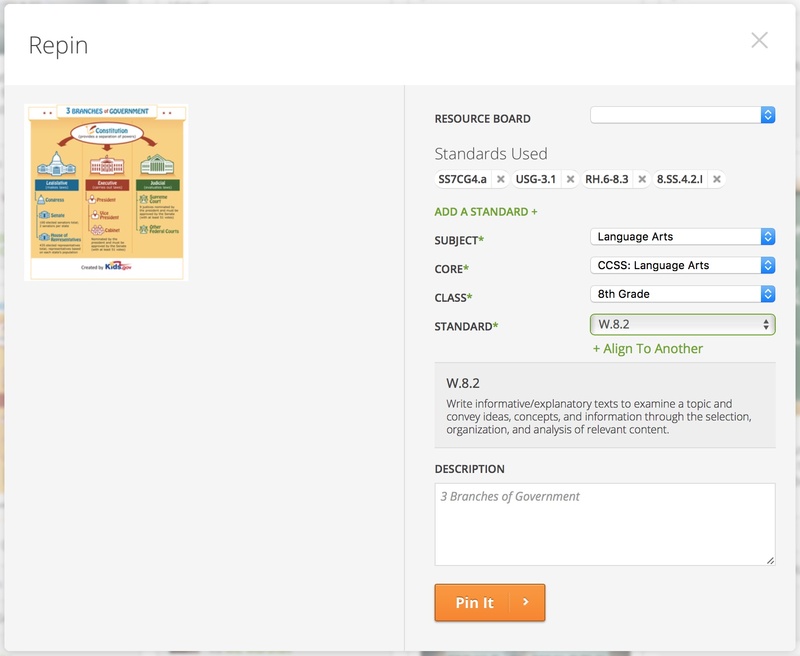 You can find and pin resources to assess standards and use in your tracker. 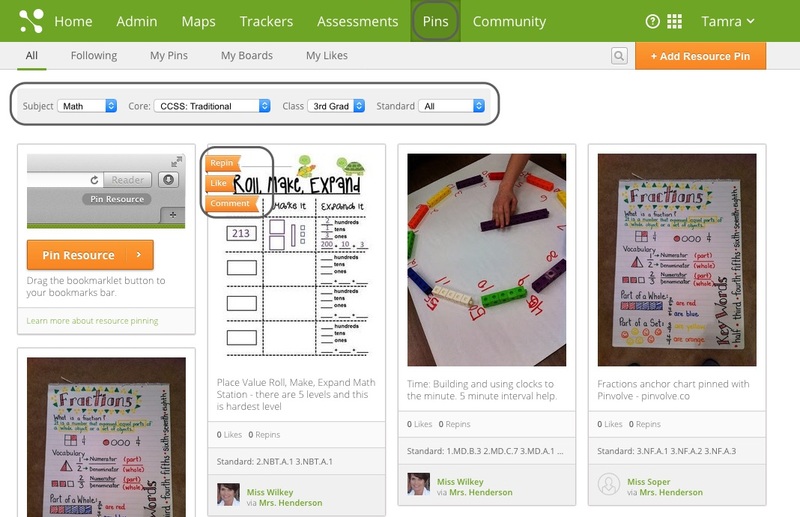 Sort and filter your pins by subject, core, class, or standard. Hover over the pin and click to Repin it to one of your boards, Like it, or Comment on the pin. To repin the resource, click Repin. On the Resource Board drop-down menu, select a board or curriculum map, or create a new resource board to pin the resource to. To delete standards associated with the pin, click the X next to the standard in the Standards Used section. Click Add a Standard and select from the drop-down menus to align to more standards. In the Description box, edit or enter a new description. Click on Pin It when you're done.